Dodge Ram 50 was one of the smallest pickup trucks that Chrysler produced to compete with S10 and other Chevy models. The original design was created by Mitsubishi before it was sold to Chrysler. The 2.4L engine was used in the later life of the Ram 50 and it was also used to power the Stratus and Mitsubishi Galant. We offer rebuilt and used Dodge Ram 50 2.4L engines for sale and keep our pricing low. The price that you pay is all-inclusive and the engine is completely ready for a professional installation. There are no other parts to purchase and we ship these engines from this website to your part of the world quickly. 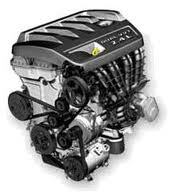 We sell car engines, but we also sell van, truck and SUV engines to our customers. We know that many of the engines that are used in Dodge passenger cars are the very ones that are used in minivans and some SUVs in the lineup. It makes perfect sense to offer these engines for sale too. We do. Your search in Google, Yahoo or Bing probably lead you to this website because you want to save a little money. We are great at doing that for people and we find it a challenge to beat any price that you have found already for a comparable 2.4L engine for sale. You purchase engines in one of two versions at our website. The first way is to buy used engines from us. These 2.4L engines have been taken out of running Ram trucks or passenger cars that accept the 2.4-liter. These are in the best condition that you will find and they go through cleanup and inspection cycles before our sales staff processes orders for them. The next way is our remanufactured engines. This is an excellent way to get something that is almost like a new engine. You don’t have to pay crazy dealership prices to get an engine that you can put over 100,000 miles on again. Dodge Ram 50 is built tough and deserves a well taken care of engine. Our engines are great. Our prices are awesome. Our staff is helpful. We have put together our company with our customers in mind and are not simply salespeople. We got into the engine business because there are few sellers that do the job right. We wanted to be the best and we are at or near the top of the list. You won’t find any bad things written about us online and that should be proof of how we do business. Let us ship you a 2.4L Ram 50 engine for less money than you would pay on eBay. Quality, value, low mileage and very clean are some of the words that describe our engines. Use the Ram 50 quote form to get an instant price from our www.carenginesforsale.com website. There are no hassles or haggling that you must go through. It’s simple and won’t cost you a penny. Call our toll free number if you wish to get pricing over the phone. Just dial 1-877-630-3873. We pay for the phone call and give you a great experience finding a Dodge Ram 50 engine.